Chandigarh, Dec 5 (IANS) India has charged the US with discrimination in awarding compensation to passengers of a Pan-Am flight that was hijacked by Libyan terrorists. The hijack had left 20 people dead and 150 injured after a bloodbath at Karachi International Airport on September 5, 1986. While the US authorities compensated American nationals, this was denied to passengers of other nationalities, a majority of them Indians. There were around 200 Indian passengers on the flight, of whom 13 died while over 100 were injured. The union civil aviation ministry, in a recent communication to the external affairs ministry, asked it to “take up the matter with the US authorities in a suitable manner”. 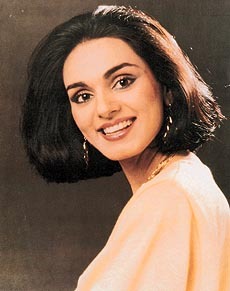 Chandigarh girl Neerja Bhanot, 23, who was the chief purser of Pan-Am flight 73 (Bombay-Karachi-Frankfurt-New York), was killed in the shootout following the hijack as she tried to save American children and other passengers without bothering for her own life. The government awarded her the nation’s highest gallantry award in peacetime, the Ashok Chakra, for her act of utmost bravery. The ministry’s communication further stated that “it was the bounden duty of the government of USA to make sure that each and every person on board that aircraft gets equal compensation out of the amount provided by the government of Libya”. The ministry outrightly rejected the stance of the US authorities that passengers on the same flight from other nationalities should ask their respective governments to negotiate with the Libyan government. The Libyan government, in 2008, had provided $1.5 billion to the US as compensation for various terrorist acts against the country, including the Pan-Am hijack. “While the US nationals on the flight were adequately compensated, passengers from other nationalities, mostly from India and Pakistan, were denied this taking refuge under US laws,” Aneesh Bhanot, who is part of the Indian Victims of Pan-Am-73 campaign group, told IANS here. Bhanot pointed out that in the Lockerbie bombing involving Pan-Am flight PA-103, all passengers from the US, as also European countries, were compensated from the funds given by Libya. “The stand taken by theUS is completely unjustified. The crew of Pan-Am 73 was all-Indian and they saved several American passengers by hiding their passports. The terrorists wanted these passports to kill the Americans. In return, the Indians and other were discriminated against,” Bhanot pointed out. The affected families of Pan-Am 73 have, this week, represented to the US Senate Foreign Relations Committee about the discrimination against non-US passengers.